Last Sunday a small group of us gathered for the 2018 DBA Woolston Challenge. A regular 15mm event held in Christchurch early in January. As previously posted this year’s challenge was based around the Wars of Classical Greece, the Wars of Alexander’s Successors and ending with the Punic Wars. In all the theme allowed armies 430 BC to 146 BC to be selected. Players were encouraged to field two armies using the earliest first and therefore transition through the 300 years of the theme. 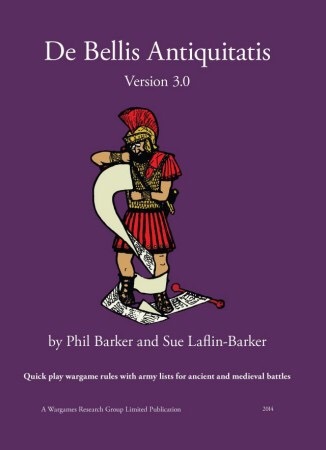 My aim was to provide additional variety and to encourage players to use some different armies. From a logistics perspective players transitioned after two games to their second army, though one player selected to use one army across all his games. Below, Gauls engage each other in a struggle between two tribes. Ben’s Gauls are on the left and Angus’ are on the right. Below, another view this time of the cavalry on the flank. Below, Joel’s Lysimachid host (left) engages the veteran Seleucids of Gordon. Below, Peithon engages Lysimachos in a battle between the Alexander’s Successors. This time Lysimachos is visible on the right. We again used an 0-8 scoring system. At the end of this section, two games, Angus and Gordon were on 11 points each and ahead of Keith who was third on 8 points. Below, the Carthaginians clash with the Camillan Romans. Here, victory was determined by the resolute Numidian light horse on the Punic left and the equally determined Gallic mercenaries. Below, another view of the battle. The Romans were so under pressure the Italians on the Roman left were unable to pressure the Punic right. Below, the Carthaginians engage the Galatians. The Punic commander foolishly thought all the Galatian foot were a motley collection of warriors, only to find that some, in particular the element in the right foreground, were in fact nobles fighting on foot (4Bd). Despite this potentially disastrous error the section was dominated by the Carthaginians who managed 24 points. In second place, for this section, was Brian with his Classical Indians who secured 16 points. Ben was in hot pursuit on 12, while Angus and Gordon were just behind on 11 and 10 respectively. During the course of the day Angus managed to suffer the loss of two generals while Ben lost one. Gordon managed to claim the executioner award having dispatched two enemy generals in five games. While player numbers were lower than I had hoped I was pleased with the variety of the armies fielded. Reports of new armies, as well as the expansion of existing armies, combined with discussion of future events all indicated another very successful day of DBA gaming.